I’m not accustomed to paying much attention to anyone’s national holidays, except perhaps France’s, but only because it at least commemorates what for a brief time was a real revolution. Since I pass a certain consulate almost every day, I do wonder every time I notice that the flag has not been hoisted. Little did I realise that on the last such occasion, actor-director Clint Eastwood would be watching his latest film release reap in the nation’s box offices. Not only does the harvest mean a monetary yield for the war propaganda industry, one can safely presume that the otherwise hypocritically anti-alcoholic film consumers will be drunk on vintage grapes of wrath American Sniper has stored. Is it accidental that a film about a white assassin hits the box offices on the weekend of Martin Luther King Day? The film has apparently garnered rave reviews among those media whose job it is to validate the Hollywood product, either for commercial or political reasons. Two critical reviews describe Mr Eastwood’s latest film as sentimental delusion and crass propaganda—not to mention a mediocre piece of work. Today I am unsure whether one ought to admire the diligence or the gastrointestinal fortitude that led them to watch the entire film. When I heard about the film, I watched the trailer—about 2 minutes long. That was more than enough. Clint Eastwood is supposed to have said that this is an anti-war film. This should surprise anyone familiar with film in the US, esp. Hollywood productions. US anti-war films are rarer than wild Beluga sturgeon. Ironically Clint Eastwood began his film career in the so-called spaghetti Western “Dollar” trilogy, directed by someone whose films, especially Once upon a time in the West, actually criticised the US colonial mythology, Sergio Leone. What Mr Eastwood means, and that is certainly another reason why the film could be such a box-office success, is American Sniper is a “wrong war” film. While no nation likes to admit that it has lost or loses wars, the US response to a war it cannot win—despite unparalleled belligerence and ferocity—is always that it was the “wrong” one. Invading Korea—where Mr Eastwood’s military experience began—was a wrong war. Almost all can now agree that the slaughter of some three million Vietnamese, uncounted Laotians and Cambodians, was again the wrong war. Ignoring the proxy invasion of Nicaragua, the invasions of Grenada and Panama, and sundry terror campaigns throughout Asia, Africa and Latin America, one ought probably assume that these were “right wars” (since the US won them). 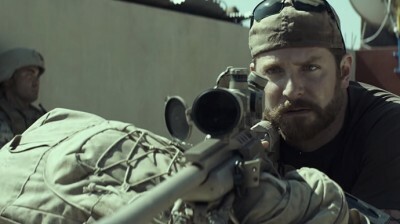 Fast forward from Korea to Iraq: American Sniper is an anti-war film for sure: it is namely a film that demonstrates how resisting the American war machine is hazardous, indeed lethal. The “wrong war” thesis is elemental to what Carroll Quigley called “liberal imperialism” in his history of the Anglo-American establishment. Liberal imperialists, to which the faux gauche (the descendants of Fabianism) also belong, do not oppose empire. They simply want it to be more aesthetically appealing, and lost wars are most un-aesthetic. So what is the liberal imperialist’s answer to unappetizing military defeats? It is cosmetic surgery. Counter-terror and counter-insurgency were not beatified by American conservatives but by liberals. The infamous US Army special warfare center at Fort Bragg, NC is named after the patron saint of liberal imperialism, John F. Kennedy. The suggestion that the Christian Right drives the crusades of Green Berets and Navy SEALs is a convenient liberal myth. Both were established as elements of what Philip Agee called “Capitalism’s Invisible Army”. The central deception of American Sniper is not its sentimentality or its overt racism, but concealing that Navy SEAL CPO Chris Kyle is not actually a soldier at all. He was a trained assassin. His assignment to the US Navy is an organisational convenience. As a member of the US Special Operations Command, to which the SEALs belong, Chris Kyle (born in 1974) was what might be called a third generation Phoenix operative. Had he been born a generation earlier he would have been murdering Vietnamese civilians under the guidance of people like William Colby or Richard Holbrooke. Why then would Clint Eastwood—who ostensibly opposed the Vietnam War—make a film celebrating someone who would have been a joyful participant in the daily war crimes committed by US Forces (overt and covert) in that “wrong war”? I think the answer lies in the role that probably did more than anything to make Mr Eastwood a household name: Harry Callahan, the vigilante police officer of the Dirty Harry series. The first Dirty Harry film was released in 1971. In 1971, the US invaded Laos (with RVN troops); Lt. William Calley was sentenced to life for his role in My Lai (which Colin Powell tried to help conceal); Richard Nixon declared the “war on drugs” (actually part of domestic counter-insurgency programmes); Riots erupt in Camden, NJ and New York’s Attica Prison (directly caused by racist police and prison guard behaviour); the Knapp Commission begins hearings on police corruption (an exercise in futility). In short, there was enough powder burning and frustration among “whites” to make vigilante police films a welcome dramatic relief. Even John Wayne after trying to defend the Vietnam War in his notorious Green Berets, ended his career with a couple of “police hero” films. Ever since D W Griffith’s 1915 film Birth of a Nation, there has been a special place in the hearts of US Americans for vigilante films. Griffith’s vigilantes are the Ku Klux Klan. Mr Eastwood’s vigilante is the individual police officer. However, just like in American Sniper, the individual vigilante is a myth. Worse than that it is a lie. Dirty Harry Callahan could not murder at will without the institutional protection granted by the armies of metropolitan police. Chris Kyle could not confirm his assassination of 160-odd people without the Phoenix-type apparatus maintained under the cover of “special operations”. There are no lone vigilantes in any empire. American Sniper is certainly vile propaganda but not because of the sentimentality and racism or even the obvious disregard for the US invasion of Iraq as a crime per se. American Sniper is noxious because of what it does not say and no critic has apparently mentioned. Like many films before it—especially those in which Mr Eastwood himself played—the covert role of the police and elements assigned to the military or the military itself is deliberately concealed and obscured. These are not films intended to deny the realities of US wars—“right” or “wrong”. They are not appeals to some equally insipid family values. These are films designed to conceal the massive scope of Phoenix that has survived and thrived since Vietnam. They also serve as a kind of aesthetic for left/ liberal imperialism. The assassin or vigilante is supposedly far less “messy” than the deployment of entire airborne infantry divisions. On one hand the filmgoer can enjoy vicariously the illusion that a tidy sniper can turn a “wrong” war into a “right” one (that the US wins). On the other he can be consoled that it is only a matter of having better soldiers (oh, if all the troops could shoot like him!). The viewer gets to say to himself with every trigger pull, “make my day”. He too becomes part of the invisible cult of terror. Carroll Quigley (1981) The Anglo-American Establishment: From Rhodes to Cliveden. William E. Colby was the CIA officer—later Director—who supervised the ripening of the Phoenix Program in Vietnam. A generally overlooked biographical detail of Richard Holbrooke’s career was that he began as a foreign service officer assigned to rural pacification in Vietnam, a contemporary of John Negroponte who also began his career there. Rural pacification was one of the key elements of what became the CIA’s Phoenix Program activity.